CRE Insurance Benchmarkers has been operating in the ultra-wealthy private investor space for over 11 years to date working typically with investors with $10M-$100M invested in commercial real estate assets including multifamily, office, warehouse, and self-storage. Our parent company, the Family Office Club is a leading association globally for ultra-wealthy investors and family office professionals who represent their interests, and 75% of them hold commercial real estate assets. The goal of CRE Insurance Benchmarkers is to help those with CRE assets quickly assess their current coverage in order to spot gaps, and payment for coverage you may not need but may not have been in the best interest of a broker or carrier to inform you of. Our teams of experts can help dig into such issues quickly and work fluidly with a number of carriers to identify ways to boost your properties NOI or get much more for your money spent. Richard C. Wilson is the Founder & CEO of CRE Insurance Benchmarkers and has seen an increasing desire of his clients to be placing investments directly into cash flowing commercial real estate assets, while also typically overlooking the savings or added value of benchmarking their portfolios of assets. In addition to running CRE Insurance Benchmarkers Richard helps $100M+ net worth families create and manage their single family offices and currently manages 24 clients including mandates with three billionaire families with a total of $5B of buy-side advisory mandates in place. Richard is also the founder of the Family Office Club, the largest membership-based family office association (FamilyOffices.com) with over 1,500 registered family office members. Richard has spoken at over 200 conferences in 17 countries, has the #1 bestselling book in the family office industry, The Single Family Office: Creating, Operating, and Managing the Investments of a Single Family Office and a recently released book called How to Start a Family Office: Blueprints for Setting Up Your Single Family Office. Richard has his undergraduate degree from Oregon State University, his M.B.A. from the University of Portland, and has studied master’s level psychology through Harvard’s ALM program while previously residing in Boston. Richard currently resides 10 minutes from downtown Miami on the island of Key Biscayne, Florida with his wife and three daughters. Adriana Albuquerque is responsible for assisting with client meetings, servicing, and helping ensure that everyone who reaches out to our team gets responded to within one business day. Adriana has been with the business for 11 years Adriana also assists Rafael with his ongoing research on the family office industry. Adriana obtained her Bachelor’s Degree from Harvard University. Rafael Tassini has been on the team for over 8 years now and he is one of our research associates who manages a team of four global professionals that keep us on top of the latest data, records research, and custom requests we get from our clients. Rafael helps conduct research for both CRE Insurance Benchmarkers and our Family Office Club team from our offices in Portugal. 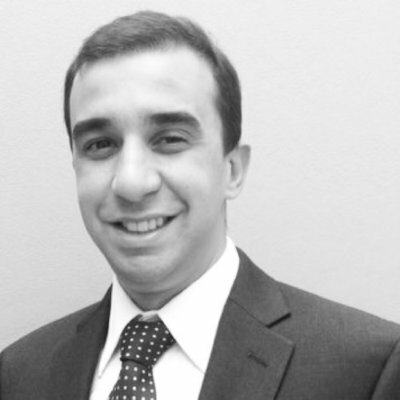 Rafael holds a Bachelor’s Degree in International Business and Business from Universidade Paulista in Brazil. Charles B. Wilson is a 9 year team member who helps support operations at CRE Insurance Benchmarkers including helping create and maintain resources for our clients. Charle’s background is in law and also in assisting with the growth of our parent company, the Family Office Club. Charles has a Bachelors degree and a JD, and helps ensure that clients get served quickly on critical projects related to their CRE transactions.